Parallels Plesk Panel was recently upgraded to version 12. The main focus was to make Plesk more secure and reliable to administrators. In this version you can expect many enhancements, new features and usability improvements and improving security of the site and server. Let’s take a quick look at all the new stuff. Now administrators can protect their server IP addresses from being put into spam blacklist due to outgoing spam. Plesk has replaced Courier for IMAP and POP3 with Dovecot. Dovecot is an e-mail server supporting IMAP and POP. You can read more information here. Additionally, this mail server also supports server-based e-mail filtering which is very useful. Nowadays, it has become very easy for malicious administrators to set up domain names which are identical to yours and there is a way to protect against this. You can prohibit the setup of domain names that are already registered and belong to existing companies. Administrators can now enable and disable mail service for individual domains and adjust other mail settings. The new security features of Plesk 12 do not end here. Plesk is using two well-known third-party security applications Fail2Ban and ModSecurity. IP addres banning Fail2ban is an automated way to detect suspicious activities and it temporarily blocks the IP address of any host that is found to be trying to gain unauthorized access. You can read more information here. ModSecurity is an Apache-based web application firewall. It’s used to prevent malicious internet administrators from damaging customers’ websites by exploiting vulnerabilities and flaws. You can read more information about ModSecurity here. Plesk 12 has also introduced the WordPress toolkit for managing APS-and non-APS based WordPress installations. 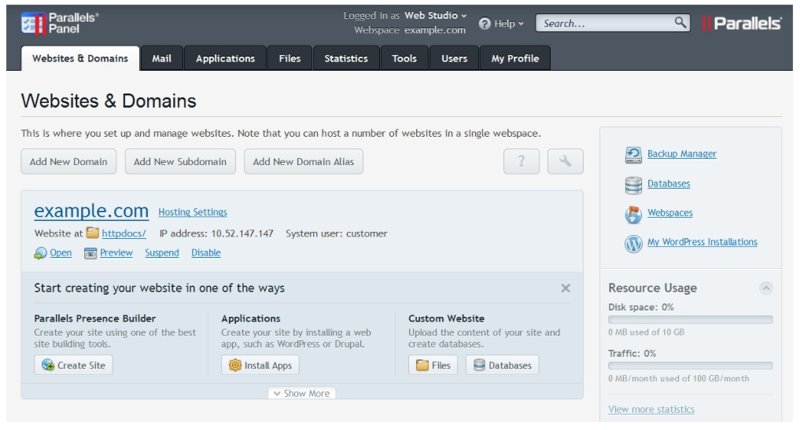 The toolkit enables administrators to manage multiple WordPress installations easily. Take a look at the example from the Parallels site. Administrators are able to install and update WordPress installations but they are also able to activate and remove plugins and themes. 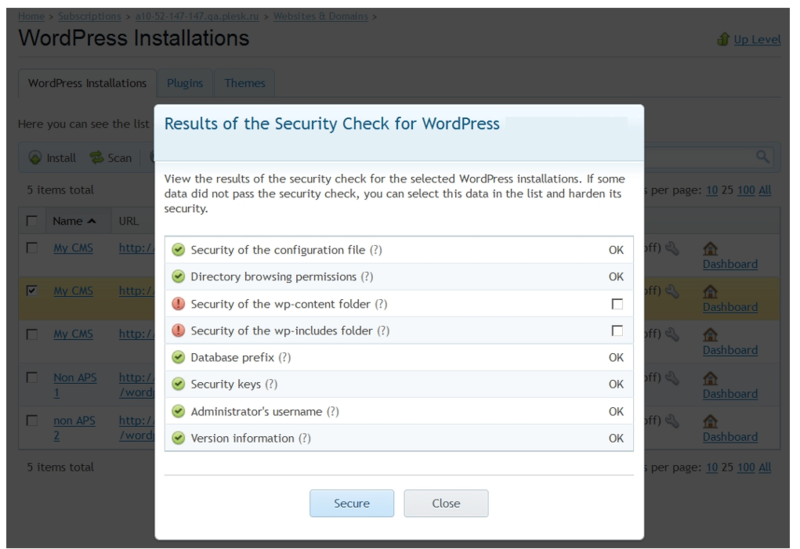 It is also possible to run security checks and scans in order to see how secure the WordPress installations are. Plesk 12 has a range of great designs so you can perfectly customize the design and find a theme that works well for your business. Presence Builder 12 has inbuilt support for managing padding, margins, shadows, backgrounds, body text colour and mModule visibility settings as well as for more advanced features, such as corner radius and background transparency. Last but certainly not least, Plesk 12 offers support in 21 languages so you can easily setup and configure in the language you want.